Responding to the global campaign calling for the release of all political prisoners in Burma, including Daw Aung San Suu Kyi, and to mark Burma's Human Rights Day, activists from Free Burma Coalition-Philippines today held a rally in front of the Department of Foreign Affairs (DFA) office in Pasay city. The Free Burma Coalition – Philippines (FBC-Phils.) welcomes the official response of ANAKBAYAN on the PUP incident of March 6, 2009. FBC-Phils. 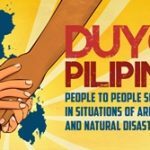 further welcomes the ANAKBAYAN’s declaration of support to the cause of freedom and democracy for the people of Burma and urges ANAKBAYAN to do its share of solidarity. MANILA, MARCH 6 — At 1:30pm today inside the campus of the Polytechnic University of the Philippines (PUP) in Manila, a group of young students claiming to be “genuine activists” forced the members and volunteers of the Free Burma Coalition – Philippines (FBC-Phils) to fold down a photo exhibit on political prisoners in Burma, confiscated their campaign materials, and pushed them out of the campus, threatening physical attack if they do not leave. Organizations present during the rally were: Alliance of Progressive Labour (APL), Sanlakas, Partido ng Manggagawa (PM), Bukluran ng Manggagawang Pilipino (BMP), Coalition Against Trafficking in Women-Asia Pacific (CATW-AP), KPML, Bagong Kamalayan, ZOTO, and the Initiatives for International Dialogue (IID).